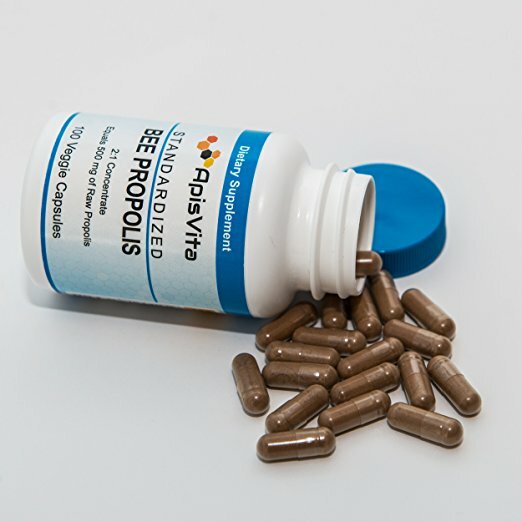 • Propolis, often called “bee glue,” is a natural resinous compound produced by honey bees from botanical sources and is used to seal openings in the hive and to protect its interior from bacteria and fungi. The word “propolis” is derived from the Greek words “pro” (before) and “polis” (city), meaning “before the city” or “defender of the city.” In this case, the “city” is the hive. • Propolis contains flavonoids, caffeic acid esters and diterpenic acids, which give it bactericidal, antiviral and antifungal properties. • Propolisis reputed to have antiseptic, antibacterial, anti-mycotic, astringent, spasmolytic, anti-inflammatory, anaesthetic, antioxidant, anti-tumor, anti-fungal, anti-ulcer, anti-cancer, and immunomodulatory effects. 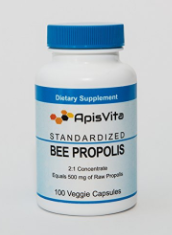 • Propolis has been used in traditional medicine for millennia. Propolis pellets were even found among the grave goods in Paleolithic and Mesolithic burials of northeastern Italy.